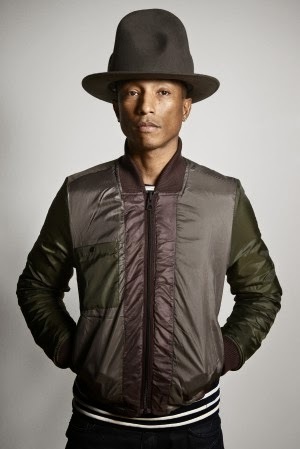 Pharrell Williams, Creative Director of Bionic Yarn, announces RAW for the Oceans, a long-term collaboration between denim brand G-Star RAW and Bionic Yarn, at the American Museum of Natural History. The collaboration is a creative exploration, where Bionic Yarn and G-Star have joined forces to innovate denim. Together they will create a collection made with recycled materials from the oceans available in stores from August 2014. In addition to the joined seasonal collections, G-Star will integrate Bionic Yarn material into existing product lines. Speaking on the collaboration Pharrell Williams comments: “Working with G-Star was an obvious choice, because they have a legacy of pushing the boundaries of fashion and denim forward. Bionic Yarn is a company built around performance, and denim is the perfect category to show the world what Bionic Yarn can do. Everyone has jeans in their closet.” The RAW for the Oceans collection will be available at selected G-Star RAW stores, and online from August 15.